Our hinged, plastic compartment containers have myriad uses across industries from retail to manufacturing, medical, automotive and more. They’re reusable and recyclable, making them a favorite of consumers, and can be imprinted with your logo or artwork, making them completely customizable and memorable. They’re crystal clear, which means products displayed within are easily seen and highlighted. They are also food-safe and can be used as-is, or with foam inserts that can be custom-sized and die-cut to fit any product that you need secured. Here is just a sampling of some of the industries that use our compartment containers and the unique uses that showcase and store their products. We recently talked about how our OMNI boxes are often the ideal choice for food storage and display, due to a seamless and air-tight design that keeps food fresh. But even compartment containers are highly popular among food retailers, thanks to individual sections that make it easy to display items separately. 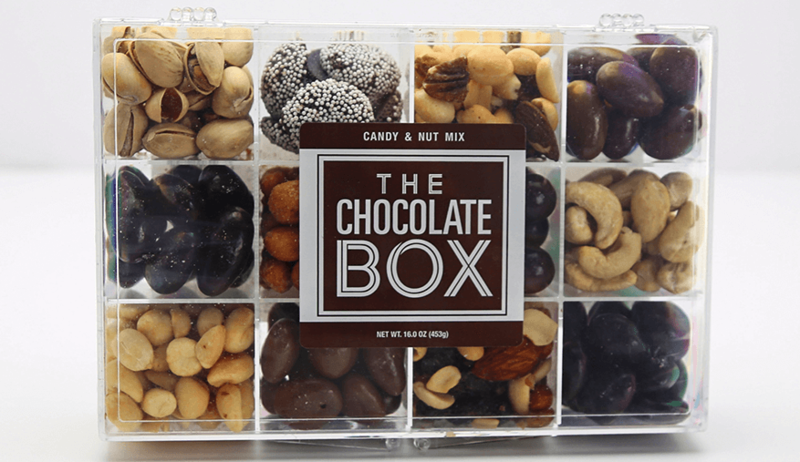 From individually flavored jelly beans to hard candies, colored sugars or sprinkles, even mixed nuts and chocolates, it’s easy to see how compartment containers can make products stand out and delight the recipient. Since these boxes are hinged rather than fitted with flush lids like OMNI boxes, they are best used when shrink-wrapped with food items inside. Add a logo, custom label or decorative bow, and any item showcased in these boxes makes a great gift. Crafters know that any project can be accompanied by endless small pieces. And what better way to organize and display craft items than in the individual sections of a compartment box? Compartment containers are ideally suited for beads, jewelry-making items like clasps, gems or thread, tiny scrapbooking items like lettering, stickers or adhesive tape, and even sewing or needlework supplies like spools, buttons, zippers, pins and more. Plus, because these boxes are crystal clear, a view of the items inside won’t be obscured. 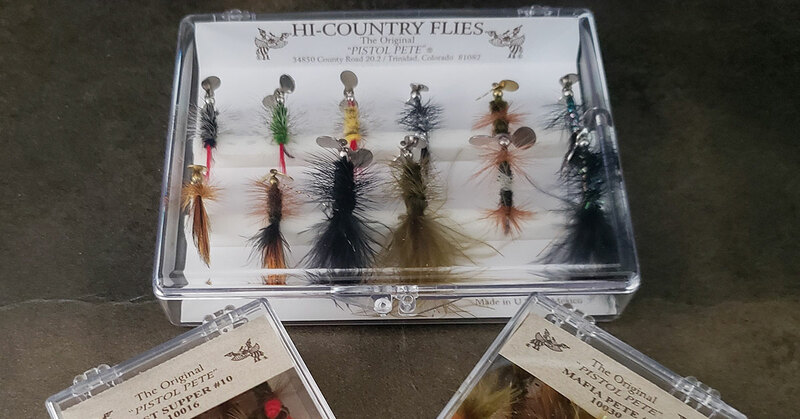 Hinged compartment containers are a perfect solution for shipping, storing and organizing fishing tackle. Hooks, lines, bobbers, sinkers, lures and even pliers can all be kept in a designated compartment and safely transported. Plus, these containers are available in a variety of compartment configurations, which makes them versatile enough to store everything from small pieces to long tools. For everyone from contractors to home improvement DIYers, compartment containers offer an easy way to organize and store small parts. Separate the nuts from the bolts, and organize different sizes of screws, washers, nails and other supplies. Store and organize networking supplies like Ethernet jacks, modular plugs, termination tools and testers. From janitorial to electrical, compartment containers can house anything from utility knives to wire connectors. Choose ESD containers to store or ship static sensitive parts. Guitar players know how easy it is to lose and even break picks. Add to the mix the myriad styles, colors, sizes, thicknesses and materials, and it’s clear where compartment containers fit in. In addition to keeping small music supplies organized, the clear containers make it easy to find exactly the desired item inside. Different configurations of compartments make room for other accessories, like strings, tuners, strap buttons, humidification supplies and more. Forget “the junk drawer” – our plastic compartment containers will keep an office stocked, supplied and organized, too. Compartment containers can’t be beat for offering easy display, storage and access to small office supplies like tacks, binder and paper clips, rubber bands, Velcro tabs, staples, and just about any small part you can imagine. Uniformly sized compartments are great for separating similar items – whether paper clips from binder clips, or purple tacks from green ones. For even more versatility, variable sized sections make it easy to store larger items like pens, scissors and tape strips. Our two- and four- compartment boxes are a favorite of optometrists, labs and hearing aid suppliers. Coupled with foam inserts, they are ideal for safeguarding and securing delicate items like lenses and other medical supplies. Our crystal clear, plastic compartment containers are suited to many industries for many purposes. If you would like a catalog or a sample of one of our boxes, contact us online. We’re available to help with all of your product packaging needs.